‘Tis the season for spirit bottles! 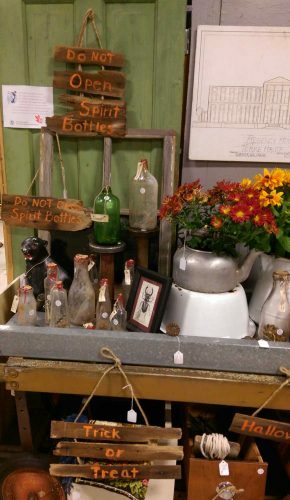 We’ve brought some into our spaces at the Southwest Fargo location of Fargo Antiques & Repurposed Market (F.A.R.M. ), but if you can’t stop by that shop, we have some spirit bottles in our repurposed Etsy shop! Wanted to show you something. 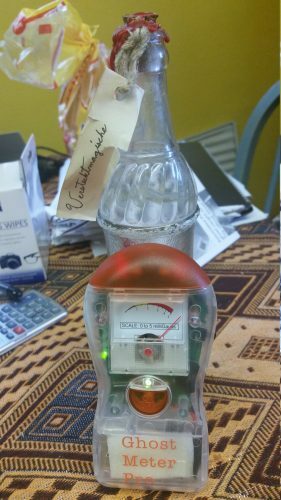 I placed an EMF meter against bottle. 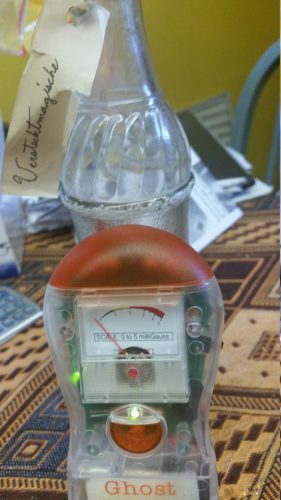 Nothing at first, then meter goes crazy — then back to normal. Its done it again since typing this. Sometimes a idea or thought or meme becomes real. That’s cool with me lol. Naturally, we can’t guarantee such super — or, should we say supernatural — results. But it is a spooky possibility! 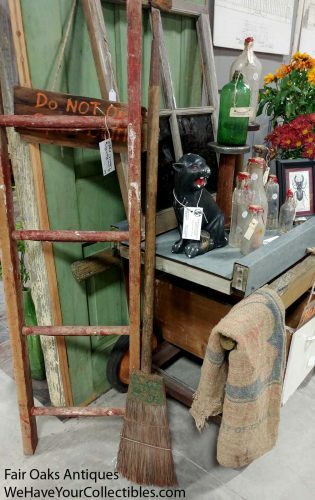 More vintage & antique Halloween decorating ideas from our space at F.A.R.M.